This kit allows you to upgrade from expensive disposable gas canisters to a refillable Argon/CO2 mix gas cylinder. 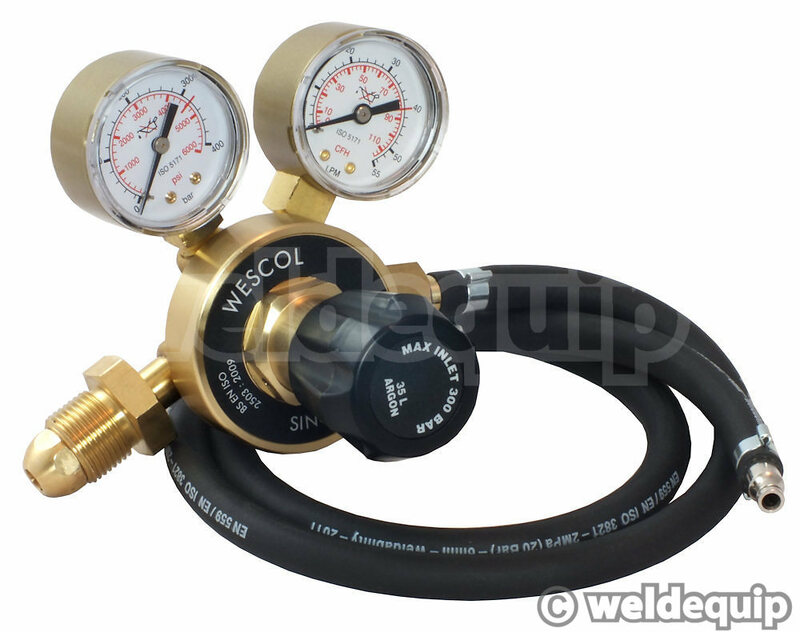 If you find you are doing more welding than first anticipated then you will find the cost of the equipment upgrade and the refillable cylinder rental are quickly recovered in comparison to disposable gas canister costs! These cylinders are available through nationwide networks of cylinder centres and agents such as BOC Gases, Air Products & Air Liquide. Generally they are rented on an annual contract with an additional charge for each refill, but there is a growing network of independent gas suppliers who provide refillable gas cylinders on more attractive terms for home use. 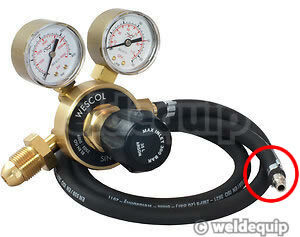 The hose adapts the little white plastic tube on the back of your hobby MIG to an industrial bore pipe connected to the gas regulator. Quick connect for easy fitting/removal.